Braided wire, aluminum, non-stretch cord, non-stretch plastic, or coated wire, (referred to here as wire) must be used. No string or rope is allowed. 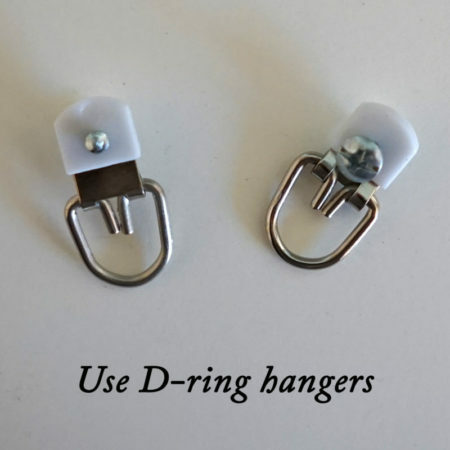 Attach one D-ring (not eye hook fasteners or spring clips) to each vertical side of the back of the frame about 1/3 of the way down from the top of the frame. 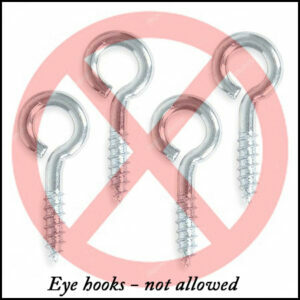 Run wire through D-rings and wind wire tightly at least four times around itself. 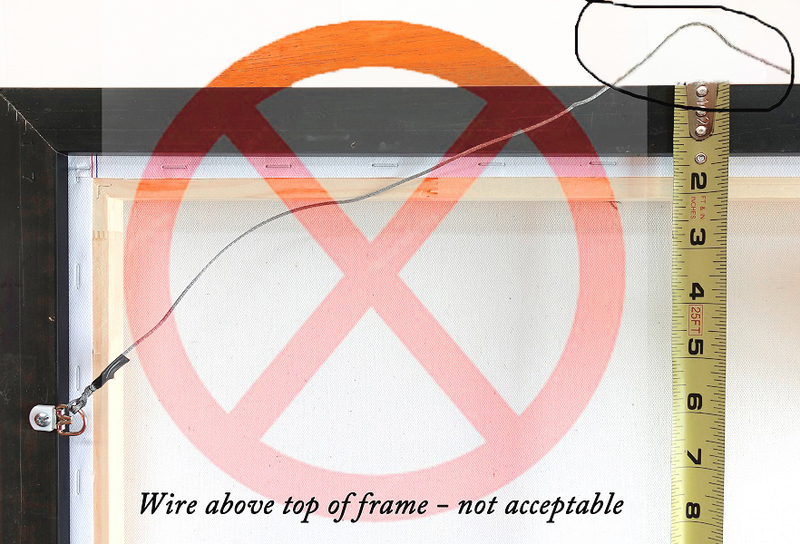 Wrapping the cut ends of the wire with electrical tape or similar tape will protect the handler from cuts. 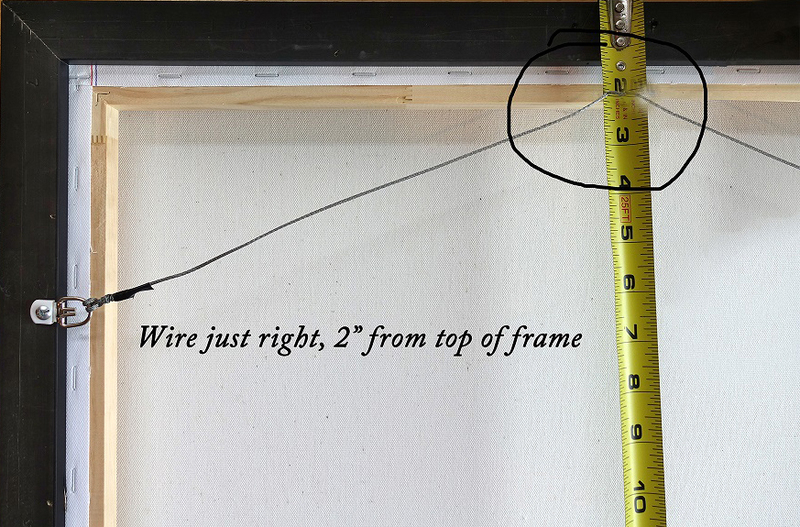 The apex of the wire, when pulled taut, should be 2 inches below the top of the frame. A non-skid material bumper (cork, felt, silicone rubber) should be affixed to each bottom corner of the frame. They will help reduce movement when hung, protect walls from scuffing, and allow air to circulate around the frame. 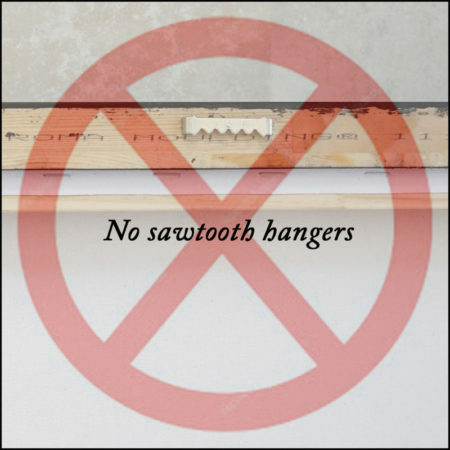 Bumpers can be from ½” to 1” in diameter and are self-stick. 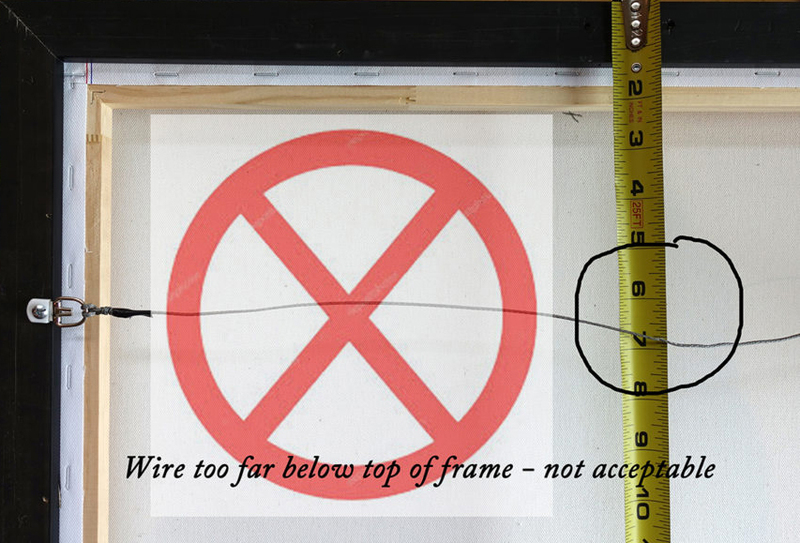 Wire is usually sold by how much weight it will hold. 20 lb. 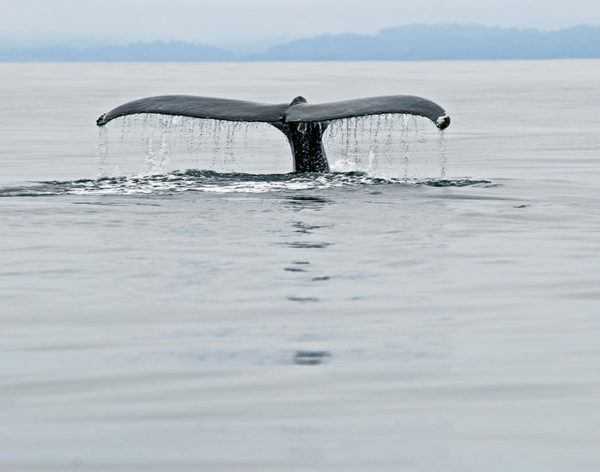 wire is usually sufficient unless you have a large or heavy photograph. Components (D-rings, hanging wire, bumpers) can be purchased at crafts and hardware stores.Step 1. Place the frame face down on a clean, solid surface with the bottom of the picture closest to you. Add a bumper at each corner. Step 1. Place the frame face down on a clean, solid surface with the bottom of the picture closest to you. Add a bumper to each bottom corner. Step 2. 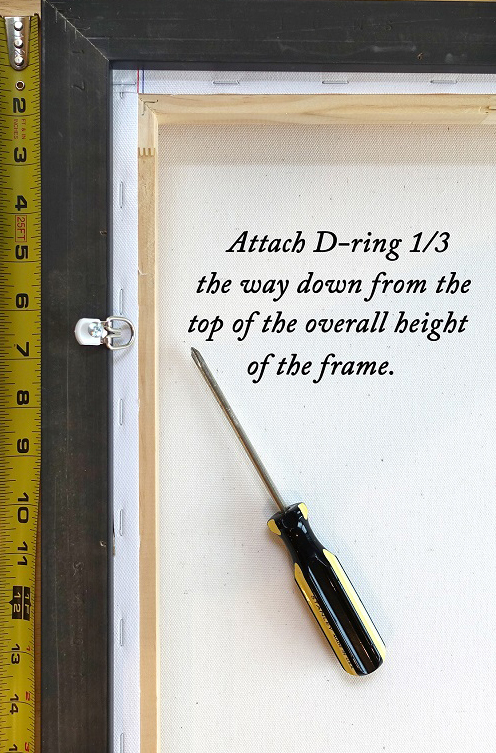 Measure one third of the way down from the top edge of the frame along the vertical side of the frame. Mark this point, then attach a D-ring with a screw. The loop should face towards the center of the frame. Repeat with the other vertical side. Step 3. 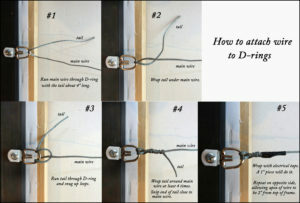 Attach wire to D-rings.